Pack your bags, we're heading to Bali. 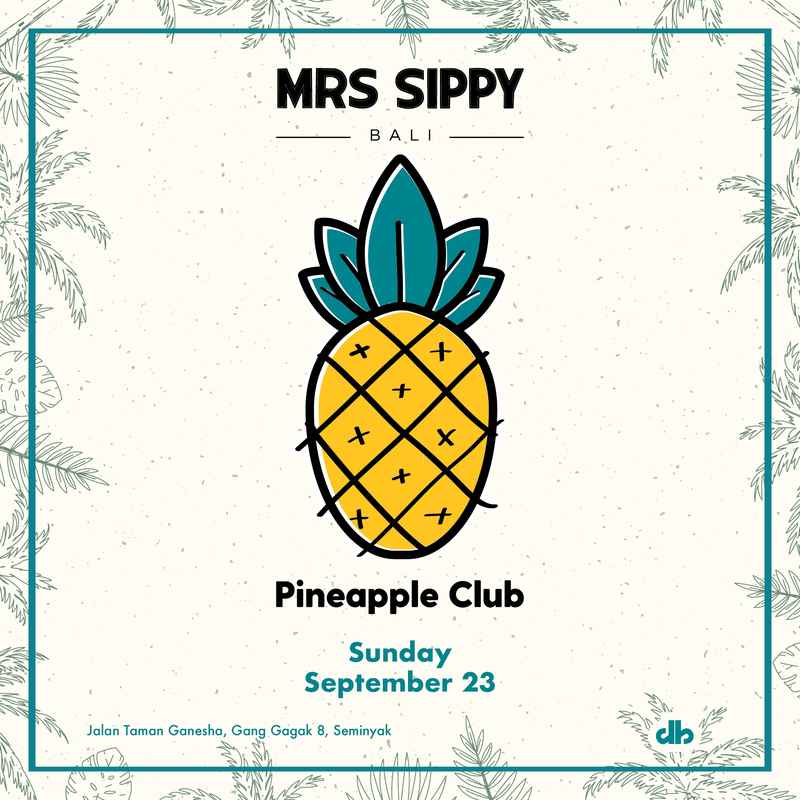 Join us as we celebrate the long weekend at the famous Mrs Sippy Bali, located in the heart of Seminyak. Same Pineapple vibes, new surrounds. Sunday September 23rd, 2pm - 10pm. The venue has fast become Bali's preferred haven for international travellers in pursuit of sun, sand, salt and good times. Join us as we transform it for the inaugural Pineapple pilgrimage to the island. All your favourites with a pineapple twist, menu to come. Want to indulge and book a day bed for your crew? Contact us for more details. Celebrating a birthday? Hit us up for special treatment. On sale Monday 2/7/18, 6pm via Megatix. Hotel partnership to be announced.